When I spent two weeks in London at a friend's place, while she was living in Kingston, I got to know the town really well and went to the most amazing restaurant. It was the first restaurant she took me to. It was this little place located on a corner street, called the Blue Hawaii. I just loved it. It reminded me of home. Not that I am from Hawaii, but I am from an island. 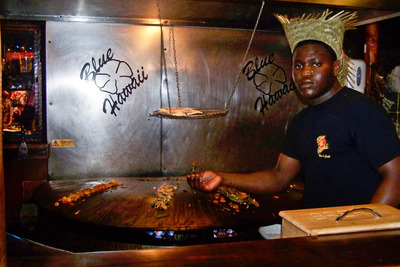 Blue Hawaii is just a friendly restaurant, that offers amazing Hawaiian barbecues – that I had never tasted before – cocktails and themed nights. This restaurant is definitely not for the faint hearted. 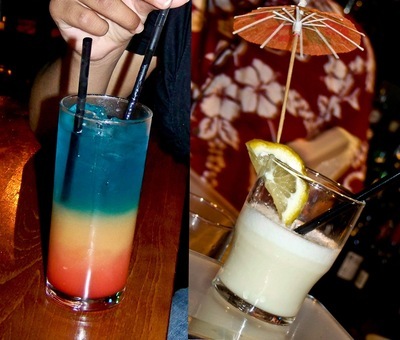 With a massive cocktail and shooters menu, it most surely aims at the party people. When I got there, it made me feel like I was on holiday. 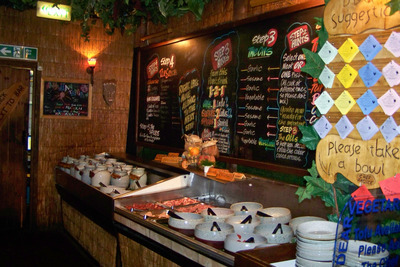 It is a very tacky restaurant, with all its plastic flower, pictures of Hawaiian girls, and all those other obvious decorations you would use for a Hawaiian party. But nevertheless, I went there twice in a week and the place was packed. Some people when just enjoying dinner, while some girls where going crazy on a hens night. There really is a fun and crazy atmosphere in that place. Blue Hawaiian has live band music usually on the weekends and the rest of the time they play commercial and reggae music. This, I thought was the best part of the restaurant's concept. Make your own food. I think it's just fun being able to choose what you want in your plate. 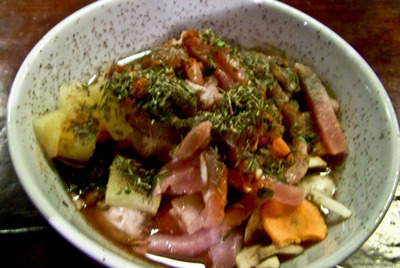 You have a wide choice of ingredient including vegetables, meats and poultry, sauces and spices. The 'barbecue' part is when you're done picking all the food, sauces and spices and put them into your bowl, you hand it to someone and it is all cooked right in front of you on a huge barbecue. You can't even complain of the service, because the service is you. Blue Hawaii serves all types of drinks, from beer to spirits - but what they are more renowned for are their special cocktails. They really have crazy cocktails going on there. Like the Fish Bowl; buy any cocktail recipe for two and it will be served in a actual fishbowl. How crazy is that. Actually there is crazier. 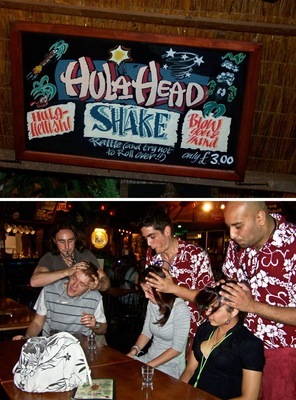 I was offered a Hula Head Shake from my friend, who obviously new what it was and did not want to have it with me. In the end she did. It was, how could I put it., interesting. If you like the island vibes, cocktails and enjoy good food, I definitely recommend this restaurant.